One Meralco Foundation believes in the capabilities of today’s youth as they take on the challenge of being future leaders of society. By enjoining the youth through programs rooted in academic excellence, sports engagement and values formation, the foundation hopes to make the youth self-sufficient as they reach their full potential as persons and be productive citizens of the country. Meralco Basketboys – consists of a basketball clinic with values integration sessions which develop the basketball skills of disadvantaged youth and instill in them the values of leadership, teamwork, and a winning attitude. Since 2011, over 2,000 marginalized boys and girls have been trained under the program. MVP Academic Achievement Awards (MVP AAA) – provision of financial aid to deserving sons and daughters of Meralco Group employees to support their education expenses for the current school year. Over 600 brilliant Meralco dependents have been recognized under this program. Meralco Chess Campus Tour Workshop – includes lectures and simultaneous chess exhibitions that will help build strategizing and problem-solving skills of the youth. 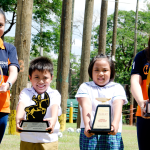 This program, made possible through a partnership with the employee-organized Meralco Chess Club, has trained more than 1,000 boys and girls in 2015 alone. Support to Scholarship Programs – aims to provide quality education to bright Filipinos who lack the necessary resources to enter the top schools in the country. 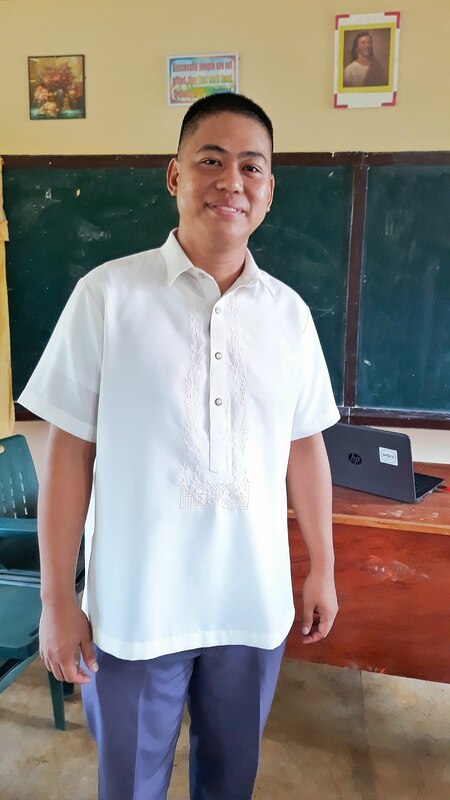 The program has supported the One La Salle Scholarship Program for public school students of the De La Salle University, and the Project Light-a-Dream for out-of-school-youth and underserved adults of the Miriam College Foundation. 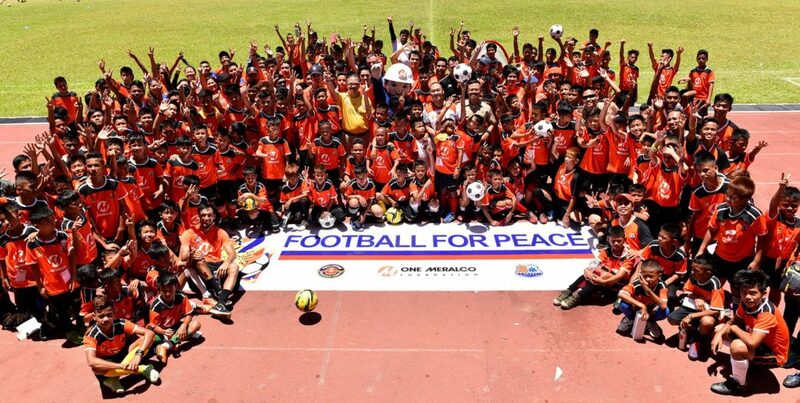 Football for Peace – an advocacy in partnership with the Philippine Marine Corps (Philippine Marines) which aims to use the sport to promote peace especially in conflict areas in the ARMM. 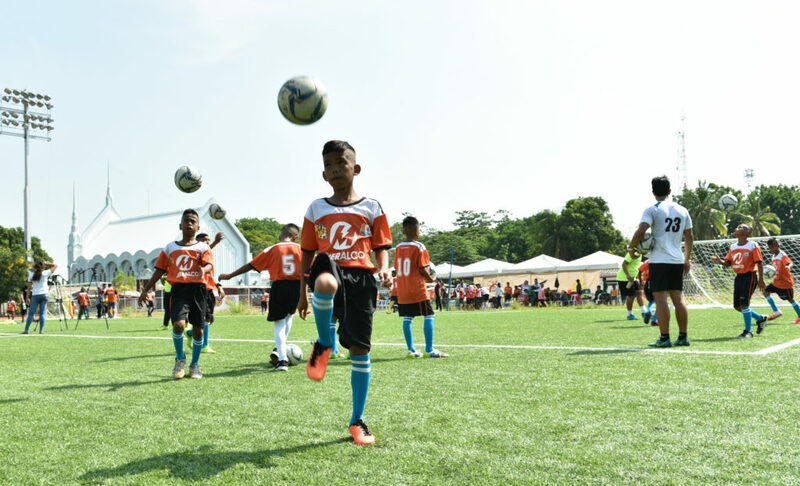 As partner, One Meralco Foundation sponsors a football clinic for the beneficiaries of the program which is facilitated by the players of the Loyola Meralco Sparks Football Club and the Meralco Football Club. The foundation also provides jerseys for the participants and their military and civilian coaches. Since 2011, the program has already trained over 600 young athletes under the program. Around 200 children mostly from provinces in the Autonomous Region for Muslim Mindanao (ARMM) flew to Manila over the weekend to participate in the annual Philippine Marine Corps (PMC) Football for Peace festival, a continuing advocacy to promote peace through sports especially to children in areas marred with armed conflicts. One Meralco Foundation (OMF) today released the list of 210 winners of the 2016 MVP Academic Achievement Awards (MVP AAA). 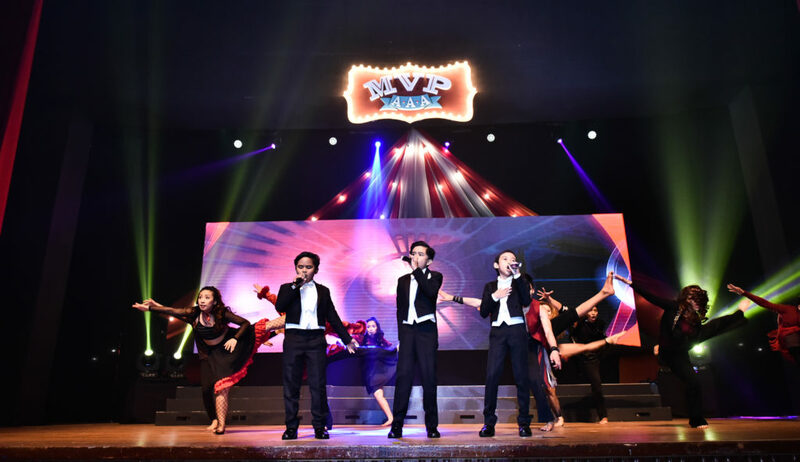 They may have failed to hold on to their title as champion in last year’s Akapela Open competition, but this year “Acapella Go” made sure they’re going to take it back — and with a landslide kind of victory. 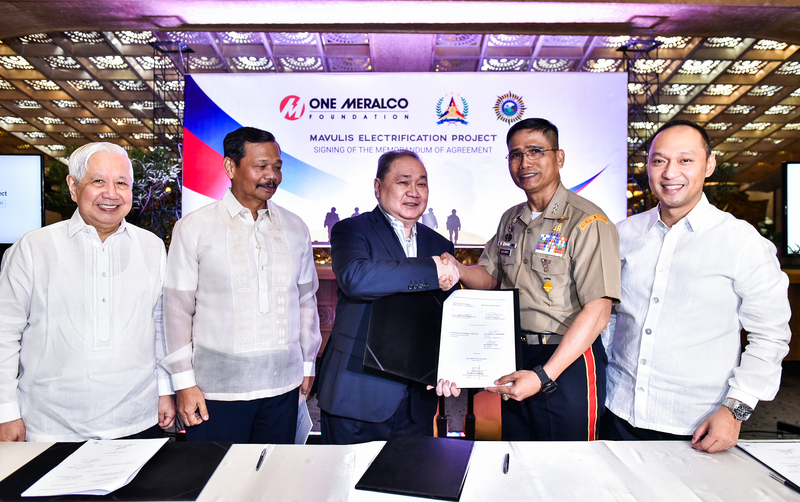 One Meralco Foundation celebrates three milestones in its continuing mission to “spread the light” in a three-part program held Wednesday (September 2), at the Meralco Theater. One sunny afternoon in 2011, Lt Col Stephen L Cabanlet and his fellow members of the Philippine Marine Corps stationed in Sulu decided to play football in a field just outside of their detachment. Intrigued by the ìnew sport,î the local children gathered around them to observe. 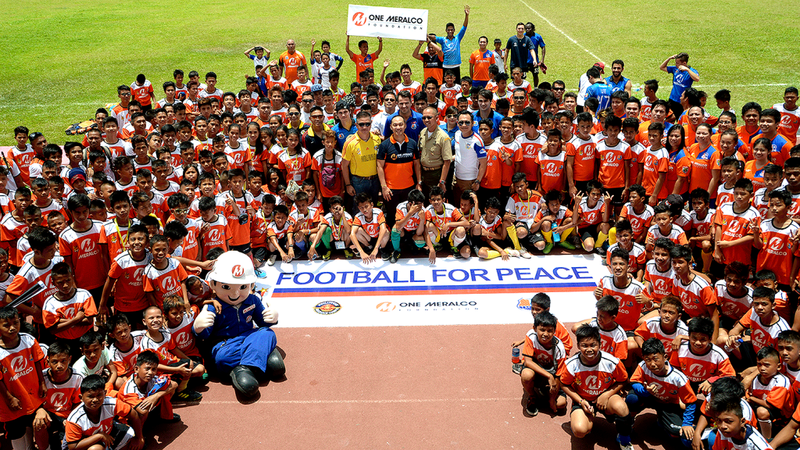 The social development arm of Meralco, the One Meralco Foundation (OMF), and the Loyola Meralco Sparks Football Club (LMSFC) teamed up with the Philippine Marine Corps (PMC) in Football for Peace, a sports initiative focused on developing and honing football skills and instilling values of discipline, camaraderie, teamwork and sportsmanship. Fresh from their 3rd place victory in the recently concluded Asian Football Federation Cup in Nepal, Philippine Azkals and Meralco Loyola Sparks superstars Phil and James Younghusband will continue their momentum in the EVIA Soccer Field, Las Pinas City on Saturday, March 24 ñ as they, together with the One Meralco Foundation, champion football to 60 boys and girls from Manila Boystown. Nayon ng Kabataan, a temporary home run by the Department of Social Welfare and Development (DSWD) for the care and rehabilitation of the socially disadvantaged youth, was the site for the implementation of the Meralco Basketboys Program, a sports-development initiative by One Meralco Foundation, the Meralco Sports and Youth Advocacy office and the Meralco Bolts PBA team.